You already have Gstreamer installed on your PC. But look at next steps to check that all required packages for development are also installed. Install main parts of gstreamer library. Note: Have you noticed words ‘bad, ugly, good’ in libraries names? Don’t worry, those are not based on personal qualities 🙂 Here is an official doocumetaion with explanation of each module and it’s name. Hope everything works just great and you are ready to make some awesome applications. Hi Taras. Thanks for a neat and simple tutorial! Could you also share your overall experience with GStreamer? How easy is to set up a simple pipeline to detect person faces on the video feed? I started working with Gstreamer just a year ago. But I think Gstreamer is very powerful tool for data processing and analysis. Now, I’m working on some interesting (open-source) projects to share. But you can look here – https://github.com/jackersson/gst-filter. 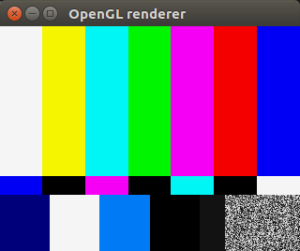 Use it as simple Gstreamer setup in Python with OpenCV. Thank you for sharing superb informations. Your web site is so cool. I am impressed by the details that you’ve on this web site. It reveals how nicely you perceive this subject. Bookmarked this web page, will come back for more articles. You, my pal, ROCK! I found just the information I already searched everywhere and simply could not come across. What a perfect website. I got this error and no window shows, any help with that? after 23 requests (22 known processed) with 0 events remaining. Hi Taras. Thanks for this tutorial! I’m trying to add libx265.so which built from x265 source (https://bitbucket.org/multicoreware/x265/wiki/Home) to my GSTREAMER pipeline and still stucking. Could you help me? You want to use this plugin in your pipeline: https://gstreamer.freedesktop.org/data/doc/gstreamer/head/gst-plugins-bad/html/gst-plugins-bad-plugins-x265enc.html ?